Stir the yogurts and the whipped topping together. 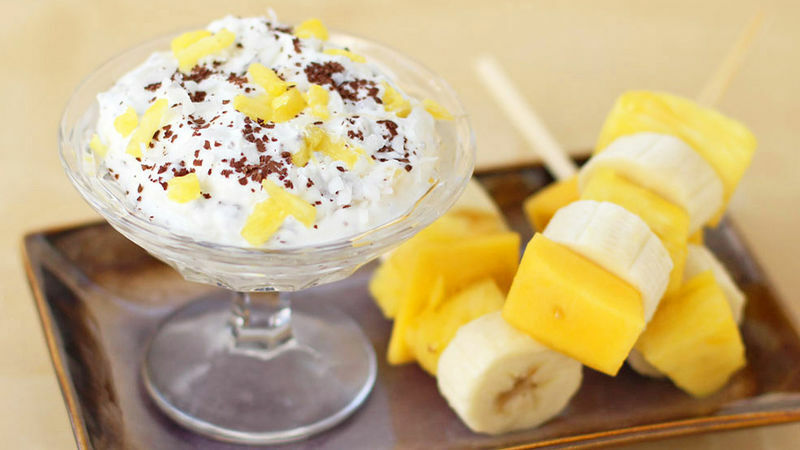 Fold in the diced pineapple, coconut and chocolate, reserving a small amount to sprinkle on top. Sprinkle on remaining pineapple, coconut and chocolate. Serve immediately with mango, pineapple and banana slices.